Hrísey Island is in many ways like many other parts of Iceland, and in many ways it is not. Hrísey is located in Eyjafjörður fjord in North Iceland. It rises mere 110m up from the ocean, with a lighthouse on the highest point. The view from there in the midnight sun, across the surrounding mountains that frame the fjord is amazing. There’s a small village there, and visiting it is much like stepping back in time. It is simple and small. All the locals know each other and most of their lives revolve around fishing. Though it’s the most accessible inhabited island by Iceland it’s not crowded by people. The ferry Sævar sails from Árskógssandur (35 km north of Akureyri) a few times over the day, and the trip only takes around 15 minutes. There are plenty of hiking paths that will take you around Hrísey Island. But you can always take the tractor if you’re not up for the walk. 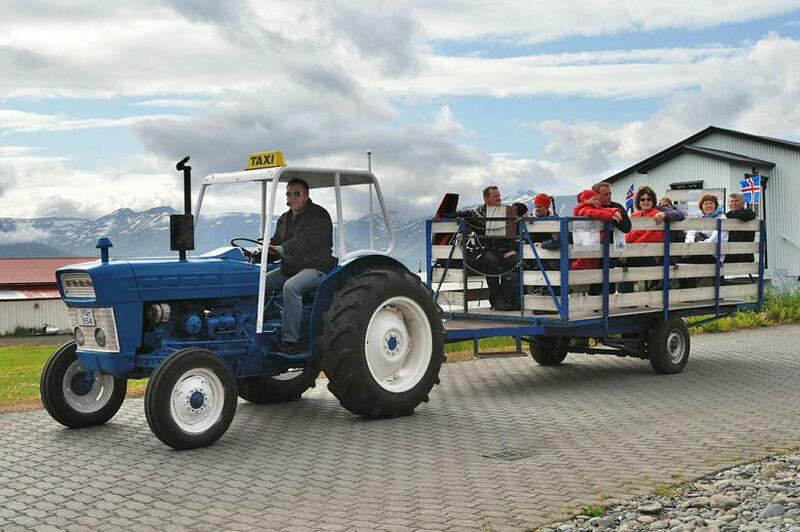 The tractor ride starts off at the House of Shark Jörundur in the small fishing village on the island where the ferry docks, and takes off 2-4 times a day during summer. You’ll sit on an old hay trailer which the tractor drags around a big part of the island, and listen to the driver telling you Hrísey’s history. The path takes you by the shore, and if you look out to the ocean you’ll likely catch a glimpse of a whale, as they like to stay close to the island. This might just be the only whale watching tour in the world, done on tractor. The House of Shark Jörundur is the oldest house in town. It was built by Jörundur Jónsson, often names Shark Jörundur, from the wrecks of Norwegian ships that stranded by Hrísey in 1884. Today it’s the home of the tourist office, a museum with an exhibition on shark hunting in Iceland in earlier years, and the starting point for the tractor tours. There’s another museum in town, dedicated to Alda Halldórsdóttir. You don’t need to know anything about her to visit. Even though the exhibition revolves around her, it also doesn’t. Alda was born there in 1913 and lived in the house all her life. 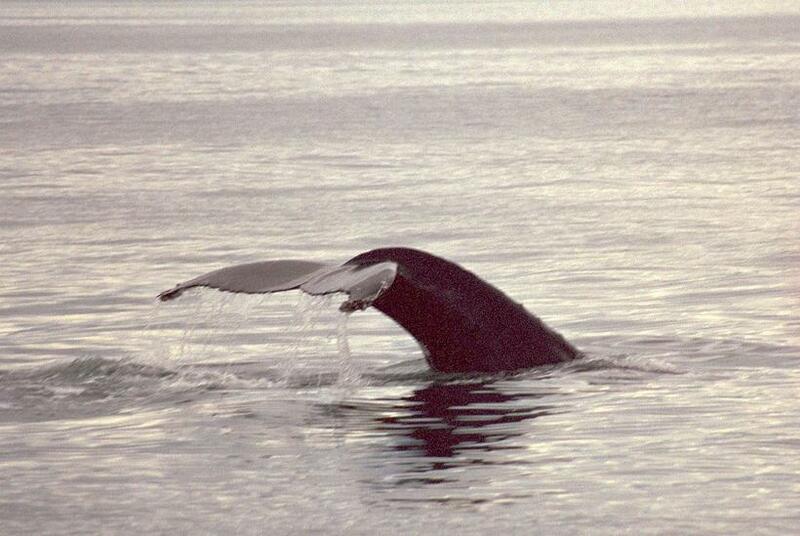 She died in 1998 and bequeathed it to the Hrísey community after her death. The exhibition is of her things and her handcraft, that made up her home. It’s an exhibition of a typical working class home from a time of great changes in Iceland. 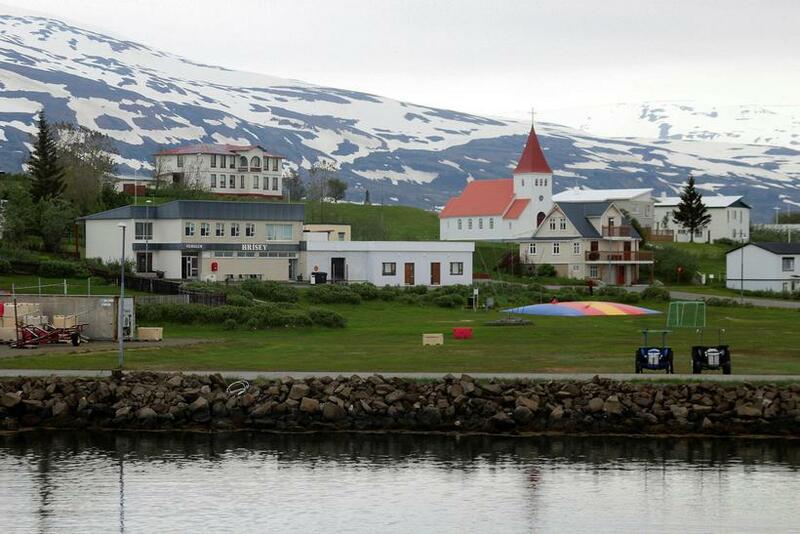 The little fishing village is in many ways like visiting any other small fishing town in Iceland, and in many ways not. The town has been named fragile, in terms of risk of it simply being deserted. It was built up around fisheries, however much of the fishing quota was sold and the island’s economy was in trouble. Now it’s on the mend again, and has everything you’ll need from a small town. A guesthouse, restaurant, supermarket and a swimming pool. Which is a must for any village in Iceland. There are no extremes in the nature of Hrísey like in many other places in Iceland. What Hrísey has is the beauty of simplicity and calm. The nature is beautiful, the people are friendly, and if you walk for 5 minutes away from the town you’ll feel like you’re the only person in the world, with nothing but the birds and whales to keep you company. It is amazing in its own way.